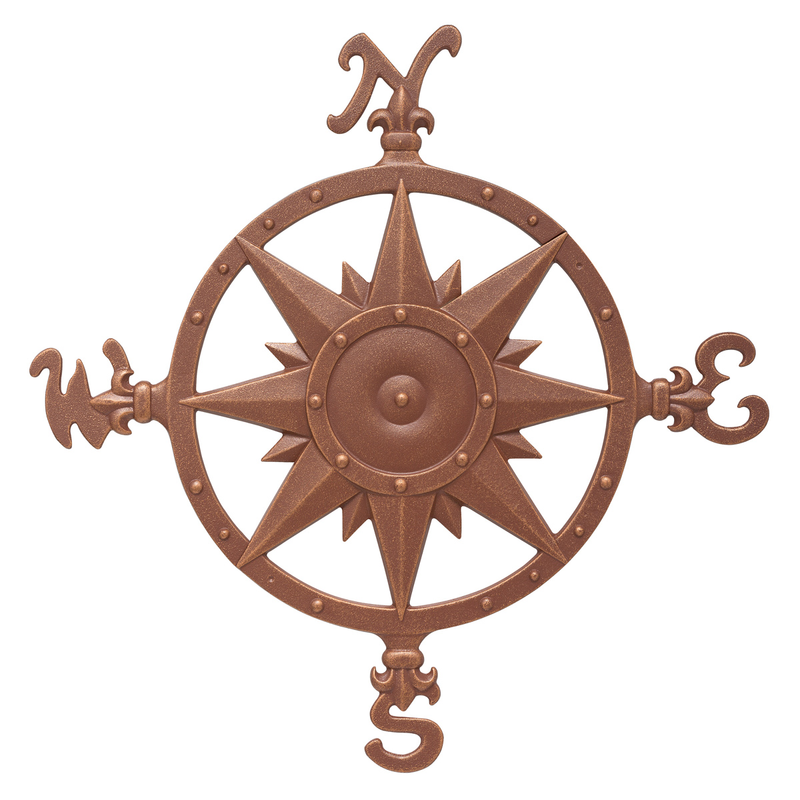 Bring nautical style to your walls with the Compass Rose Wall Decor - Classic Copper. 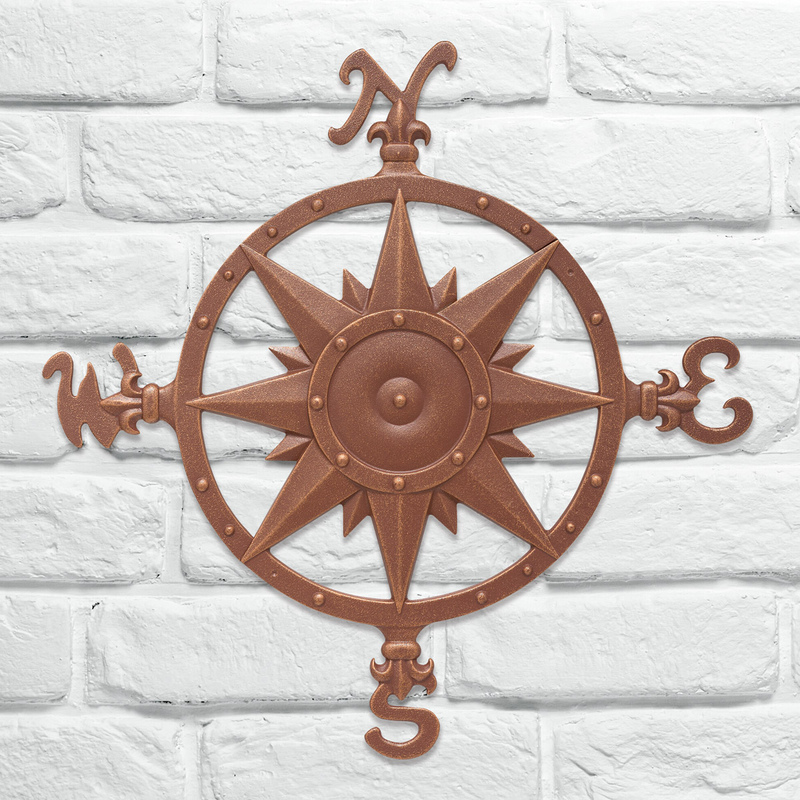 This beach wall art features a rose like design in a copper color with a compass border. This beach wall art is made in the USA.